When looking for a concealed carry handgun, you need to consider four very important factors: reliability, stopping power, wearability, and user friendliness. It is not uncommon for women to have a variety of pistols that conceal better with different wardrobe choices or activities. 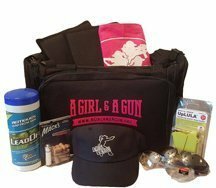 We looked at what our female pistol instructors carry on a daily basis. Here are the best concealed carry handguns for women, recommended by women. The Shield is another of our favorite carry guns. This striker-fire double-action pistol is less than 1” thin, so it is very easy to conceal. The 9-round capacity and single-stack 9mm magazine provides a lot of rounds in small carry handgun. It features a Melonite barrel and steel, white dot, dovetailed sights with a good trigger, so it doesn’t require modifications or significant investment after its initial purchase. With a price point under $400, it is a great investment. The Shield is a very reliable pistol. It has thumb and striker safeties and is lightweight making it very attractive for concealed carry. The polymer grips have excellent ergonomics that are comfortable for most women. It is easy to control and has low recoil. It shoots like a full-size gun in a small, concealable package. The Glock 43 is tough and reliable. It is another good carry gun for those who want 9mm in a smaller frame, without the biting recoil of a small pocket gun. Its slim profile makes concealment easy. It has a lever-incorporated trigger safety, a firing pin safety and a drop safety. The GLOCK G43 pistol has a 6+1-round capacity and is at a good price point. The pistol is designed with a polymer frame grip with a built-in beavertail design. Holsters are easy to find as well as additional magazines pouches. The Bersa BPCC pistol is designed for concealed carry with a double action and an 8+1 capacity of 9mm. It has an excellent trigger press that is really nice and smooth for better shot placement. The 3.3-inch deep-rifling barrel has a polished bore. The BPCC is built with a high-impact polymer frame that is slim so it is easily concealable on body. The grip fits just about anybody’s hand and the size does not leave the pinky finger out of play. It is priced comparatively with other small compact guns. The Glock 42 has a dual recoil spring, which blows other.380s out of the water. This double-action pistol is reliable out of the box and has fewer jams than other .380s. It has a 6+1 magazine capacity and has a lever incorporated into the trigger to help prevent accidental firing. 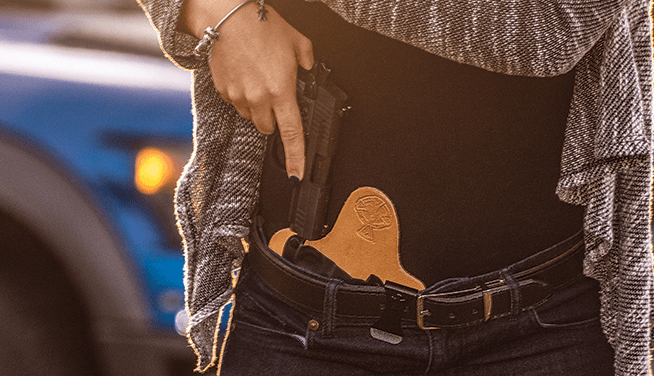 The polymer grip is great for women with small hands, and its slim, compact design is a plus for women who prefer form-fitting clothing and conceal on body. The Beretta Nano 9mm double-action pistol is made of fiberglass reinforced technopolymer and features a low-profile design. The sleek frame does not catch on anything making it an excellent design for concealed carry. It has smooth sights and no protruding slide lock to leave indentions in the skin. The Nano has a 6+1 round magazine capacity. It is ambidextrous and has a reversible magazine release button and user-adjustable sights. It is lightweight and the perfect size for a carry gun. The XD-S has a narrow frame that is easy to conceal. It is a single-action handgun with a polymer frame and a steel barrel and slide with a Melonite finish. It has trigger, grip, and firing pin safeties as well as a loaded chamber indicator. It has a 7-round flush-fit magazine and an 8-round extended magazine. The front sites allow for a quick sight alignment in low-light. It is easy to find a holster for the XD-S from most respected vendors. The VP9SK has a higher price point, but also includes all the bells and whistles of an H&K. This 9mm pistol is designed for concealment and constructed with a cold hammer-forged barrel. It features an integrated abbreviated Picatinny MIL-STD-1913 rail and an adjustable grip with molded finger grooves. The grip is adjustable for small hands and it comes with an excellent stock trigger. For a carry gun it holds a lot of rounds in its 10-round magazine and is fun to shoot. The PPS M2 is a good concealed carry option for women with slightly larger hands that can enjoy its ergonomic, cross-directional grip. It has a 5-inch barrel with polygonal rifling and a serrated, nonslip slide and 3-dot sights. Safety features include a cocking indicator and loaded chamber viewport. It is coated in Tenifer and is easy to conceal. The TP9SF Elite is a real workhorse, not a show pony. It has a 15+1 round capacity in a medium size. The grip has interchangable backstraps and the frame is designed for concealed carry. It has a trigger safety with a shortened trigger reach distance. It has Warren tactical sights with red/green fiber optic front sights, match grade barrel, reversible magazine release, and cerakoted slide set. Its point of impact is behind the front sight, not high like some others. The overall length of 7” might seem a bit long for everyday carry, but with the right holster it can be worn without printing. The P320 Subcompact is small with only a 3.6-inch barrel making it very easy to conceal. Its modular polymer grip is solidly in the middle between too big and too small. The interchangeable trigger can be customized and the 3-point takedown makes for quick disassembly. Because of the modular platform, it is easy to customize/change without calling a gunsmith. The handgun is fashioned from a nitron-coated slide, with a polymer frame and Siglite night sights. It has both striker and disconnect safeties. The M&P 9 Compact is another good carry gun. It is a bit shorter and fatter than the Shield, and some women find that it fits better in their hands. It has a high-strength polymer frame that is reinforced with a stainless-steel chassis, a stainless-steel barrel and a grip with 3 interchangeable palm swell sizes. The pistol also boasts a white-dot front sight, a low-profile carry rear sight, and a Picatinny rail. Its 10+1 capacity allows more rounds than the Shield, and its magazines have a pinky extender for further comfort. The Bodyguard is the “little black dress” of concealed carry guns because it is infinitely concealable. This .380 pistol features a stainless-steel barrel and slide with fish-scale serrations on the rear of the slide. It is double-action with a long trigger press. This centerfire pistol has a second-strike capable trigger, stainless-steel, drift-adjustable front and rear sights, and a thumb safety. Its small frame packs a big punch with recoil, but it is very accurate. The Keltec P3AT is probably the only pocket gun that can be carried in most women’s jeans. This .380 ACP pistol weighs only 8.3 ounces and with a 2.7-inch, heat-treated barrel constructed from 4140 steel. The rectangular aluminum frame encases the firing mechanism, and the handgun features fixed, low-profile sights, a hammer block safety, and a polymer grip. It fits nicely in a boot holster and not show; ankle carry with it is easy as well. The P3AT recoils like a mule due to its super lightweight frame, but with a capacity of 6+1 it is a very concealable and affordable backup gun. 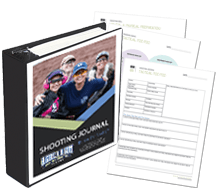 BAD choices since a lot of women are not going to make it to the range every month to practice, meaning their magazines may not be cycled regularly enough to ensure the springs don’t take a set. A revolver is the best option for anyone who may store the loaded handgun for any length of time between shooting. Our organization offers recurring events and many of our members train at least monthly. Furthermore, we advise to rotate carry ammunition on a biannual basis, and we prefer educating women on mag springs and over-used cartridges, instead of blindly limiting their carry options. Many revolvers have a long double-action trigger press that is cumbersome to many women. Most importantly in a crisis, pistols generally carry more rounds than revolvers and are typically faster and easier to reload. Did you look at the CZ Rami? It is about the same size as the M & P Shield. It has a good weight and excellent recoil. I seldom hear it mentioned, yet it is he best pistol I’ve shot.